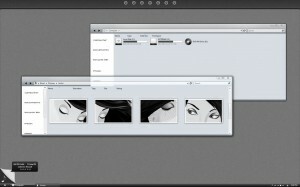 Another great minimalistic theme design. This wonderful Vista theme is simple, clean and looks great. I like the look of the windows and ubiquitous buttons. The taskbar is slick and the start button is as well. The navigation buttons are integrated perfectly into the browser and everything flows so well. Are you still using Windows XP? If you are then visit our FAQ page to download our XP Theme Patcher. If you’re using Windows Vista, you don’t need the Theme Patcher.